LOOKING TO CELEBRATE with a ONE OF A KIND EXPERIENCE? PLEASE USE OUR CONTACT FORM BELOW FOR MORE INFORMATION. 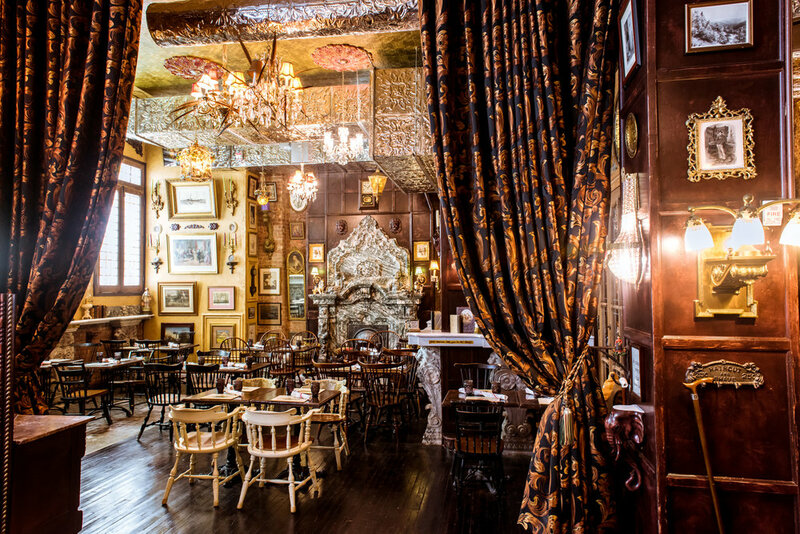 Ironically housed within the old Prohibition Enforcement headquarters, Oscar Wilde’s interiors attest to the beauty and opulence of the late Victorian-era. From the ornate wooden carvings and classical marble sculptures, a balanced and firm opulence is well-exhibited throughout the space. 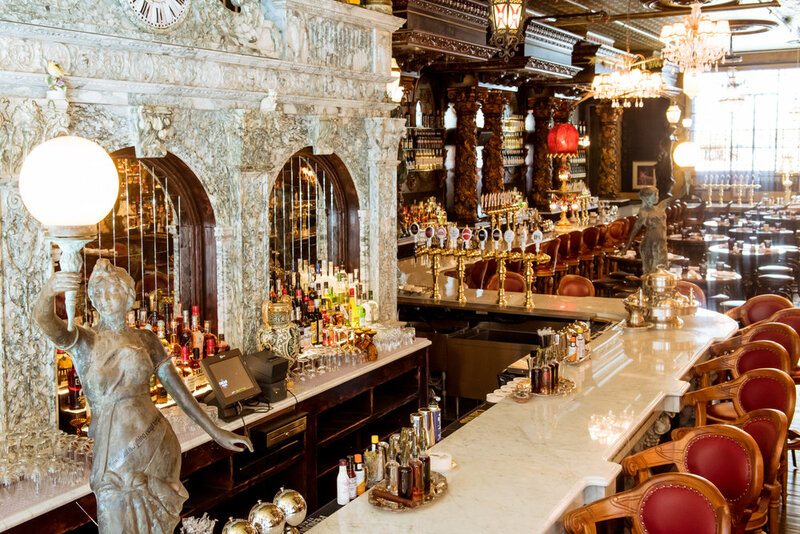 The mahogany bar, intricately carved with garlands, and animal figures house a 120 foot-long continuous serpentine Carrera-marble top. 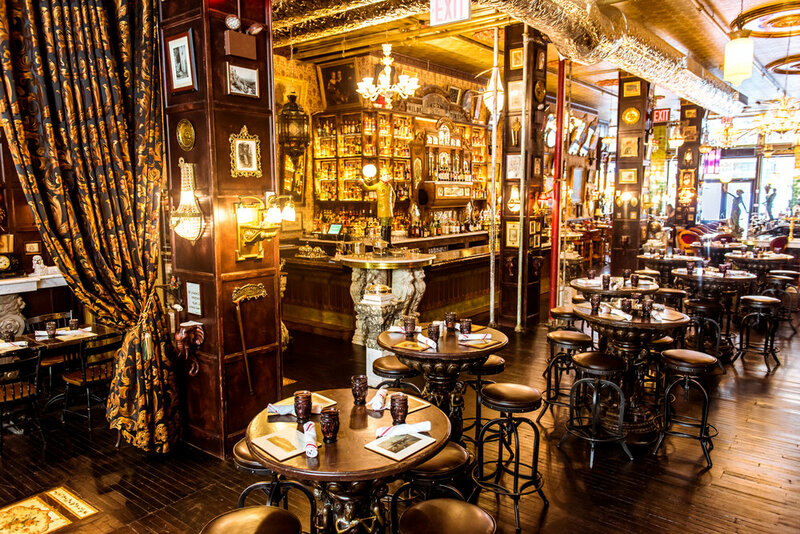 It is quantifiably the longest bar in New York City. The curated menu features an impressive range of delectable bites and entrees. With over fifty domestic and imported beer and wine, our in-house experts can assist in meal pairing that provide a memorable experience for all. The scale of the bar is equally matched with its extensive cocktail menu. Our expert mixologists, led by Johnny Swet, have put their shakers to the test with a number of craft cocktails and re-worked classics prevalent throughout the Victorian and the Prohibition eras. In true Wilde Fashion, Absinthe and Champagne–his favorites–are also available.